Businesses don’t operate the same way as they did just decades ago. Technology has brought us to a paradigm shift to the digital world. It has affected all aspects of business, from the way we track success to the way we manage our documents. 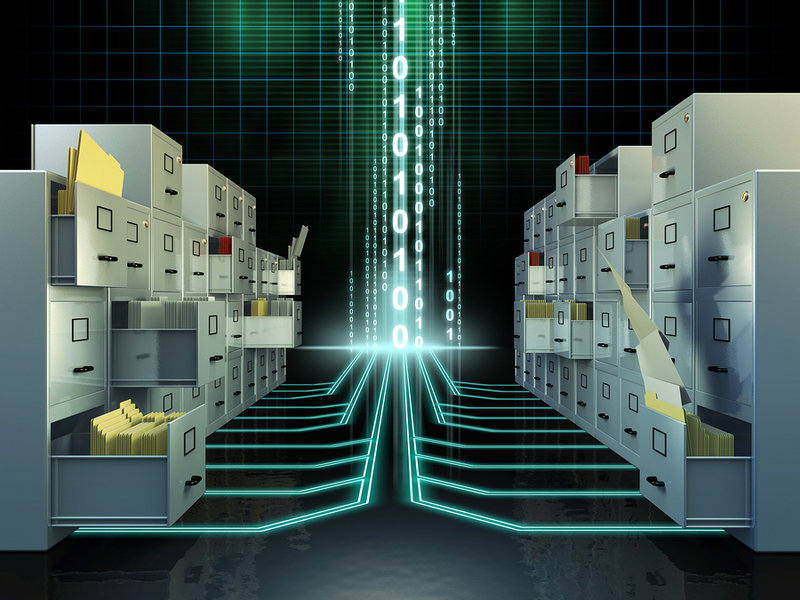 The good thing is that paper filing systems aren’t dead yet- but the advantages of converting to a paperless office are growing. As companies make the decision to scan their documents and utilize an electronic document management system, they begin to see some of the benefits. What used to take hours now takes minutes; there’s no mistakes or extra copies of important files floating around the office; no one accidentally leaves a file at home. Digital documents are here to stay. The more you think about it, there’s a lot of great reasons to make the leap, but don’t just take our word for it. In The Benefits of Going Digital, Rob Hamilton from the Recycling Today Media Group discusses some of the benefits he sees in taking your paper documents, converting them to digital documents, and moving them to the cloud. You can check out the entire article here! At Record Nations, we can help you make the transition from paper records management to digital. We can help you scan your documents, give you guidance on the best electronic document management system, for your business, and set you up with the proper professional records management company that’s in your area.